We try to keep things on the positive side here at the Ball Report, but it’s our responsibility to cover the darker side of world events as well. 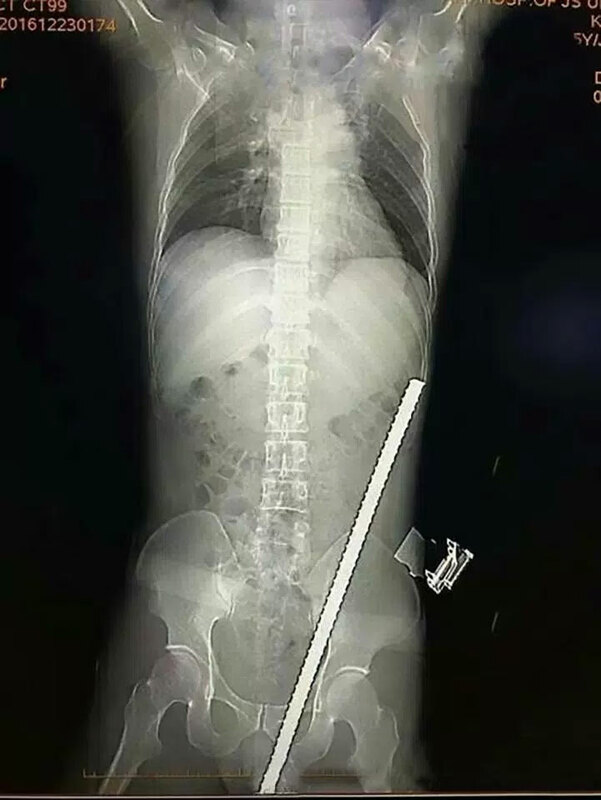 If you have a tender heart or a sensitive stomach, you might not want to read any further, as the story of a Chinese construction worker taking a steel pole through his groin is a nasty one. 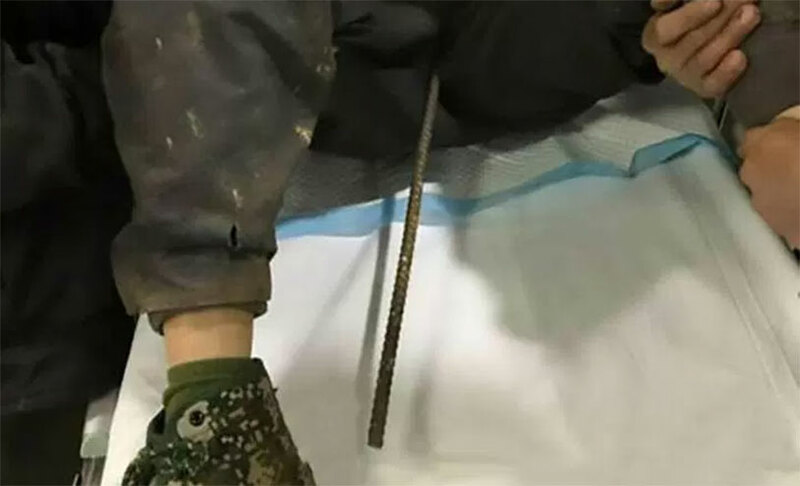 It’s still unclear exactly what Wu Qiang was doing on the job at a construction site in Zhenjiang City, in East China’s Jiangsu Province when he fell into a pile of steel rods. Whatever it was, it distracted him enough that he landed extremely poorly, sending one of the rods vertically up through his scrotum and right into his abdominal cavity. The bar traveled nearly all the way up Wu’s torso, thankfully missing any other vital organs. Insanely, he managed to stay conscious and standing upright while the fire department came and sawed away enough of the steel pole so he could be moved to the hospital. Here’s a chilling X-ray of the foreign object at rest before doctors removed it. He’s expected to make a full recovery and be out of the hospital within a week, which is insane. That’s one tough dude.